يقع فندق The Devereux Boutique Hotel في منطقة تتمتع بمعالم كثيرة، وتعتبر المكان الأنسب لاكتشاف هذه المدينة رائعة الجمال و ما يحيطها. يمكن من هنا للضيوف الاستمتاع بسهولة الوصول إلى كل ما تقدمه هذه المدينة النابضة بالحياة. يقع هذا الفندق الحديث على مسافة قريبة من المعالم السياحية الشهيرة. 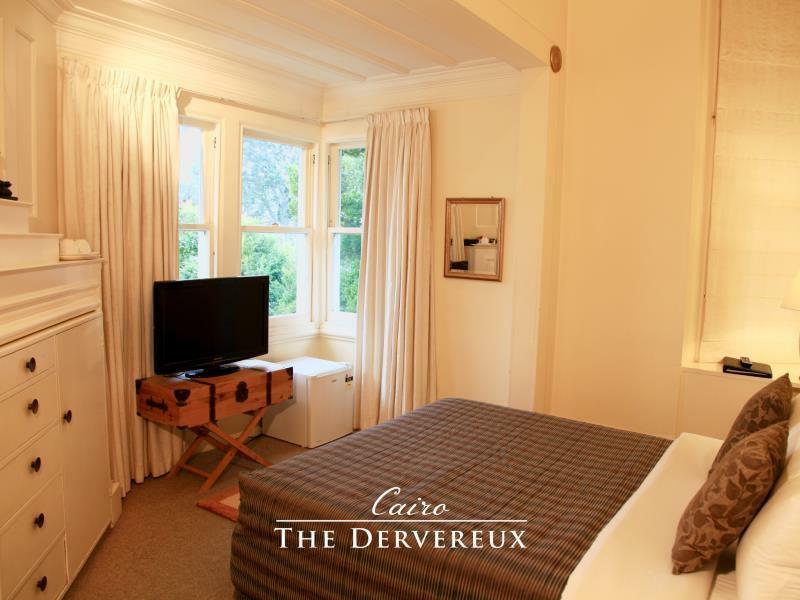 كما يقدم The Devereux Boutique Hotel الكثير من الخدمات لإغناء رحلتك في المدينة. يقدم الفندق فرصة للاستمتاع بشريحة واسعة من الخدمات بما فيها: تسجيل وصول/خروج سريع, تخزين الأمتعة, واي فاي في المناطق العامة, صف السيارات, مرافق للشواء . في الفندق غرف نوم يتجاوز عددها 10، كلها مجهزة بعناية وجمال وبعضها مزود بـ تلفزيون بشاشة مسطحة, سجاد, إغلاق, اتصال لاسلكي بالإنترنت, اتصال لاسلكي بشبكة الإنترنت (مجاني). يمكنك الاستمتاع بالأجواء المريحة التي تقدمها مسار جولف - ضمن 3 كم, حديقة طوال النهار. مهما كانت دواعي سفرك فإن The Devereux Boutique Hotel هو خيار ممتاز لإقامتك في المدينة. It was very clean, dated but it did the trick. Don’t stay in NewMarket on a Sunday, nothing is open and very tough to find a good bite that’s not super expensive. Well located hotel with large airy rooms lovely shower room . Short walk to coffe shops for breakfast, staff extremely helpful on shopping ideas, travel info & public transport options. The room was not made up and the bath was dirty. Great location, nice room but no movie channels and a lot of noise from other people in other rooms. Just taken one night there, very sad, I didn't got chance to know it. Hoping I will live in there again. Nice old charm of a house renovated into a boutique hotel. If you like old charm then this place offer you that. Not in there center of town so need a car to get to most places. Nice wee cosy old house. close to town., transport and places to eat. There was also free car parking available which is a big saver. Would recommend staying here for a night or two. I chose a single room with shared facilities only to learn that the shared facilities aren't with other travellers using this facilities, but staff as well. Had to wait awhile to get use of the shower in the morning. Would only recommend for those who's after a place to sleep/rest (especially those who are not light sleepers). The rooms aren't exactly sound proof and you can hear other guests as well. Gracious heritage building down right of way with outlook to My Eden. Quiet, secluded atmsphere. 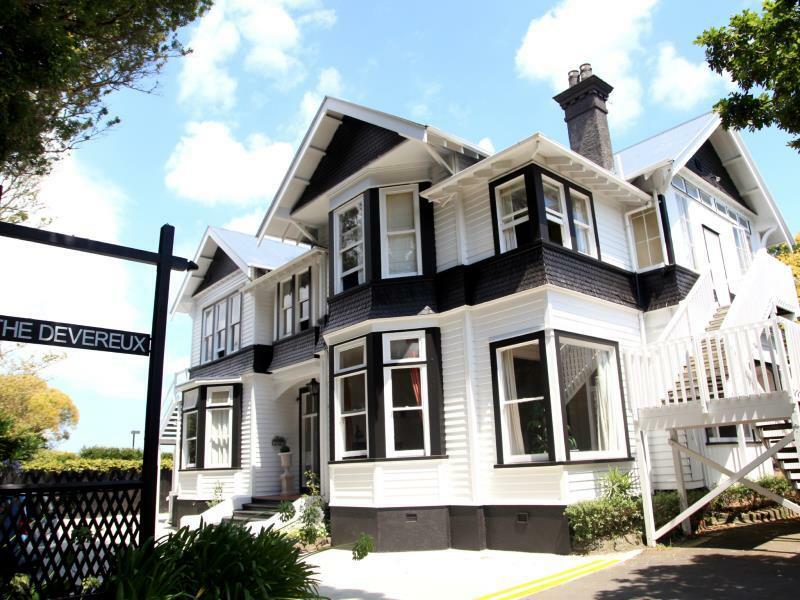 Very convenient, walking distance from Remuera shops & cafes & bus stop at door. Staff are friendly and exceptionally friendly. Very attentive to the guest..thank you for helping me around and making me feel like I’m at home. We arrived and there was no heater on in the room, it was freezing! Didn't sleep at night, you could hear people walking around up stairs, and water running, there where bugs in our bed. We slept with just the top blanket. The first thing that turned me off was how dirty the room was. There were cobwebs lining the ceiling and there isn't carpet or rugs in the room so I could see dust clumps mixed with hair on the floor. The headboard & footboard were dusty. The shower didn't drain so you're left standing in 4" of water. Yuck! Yuck! We were there in May so it was getting chilly but our French doors were missing weatherstripping so there were gaps to the outside so I stuffed Kleenex in the gaps to help keep the cold out. All in all, cute place but they need to do some serious work to improve. warm, clean, tidy, beautiful building and surroundings and handy to shops cafes etc. Tidy and quiet hotel in a great location. Classic old building and hotel. Good location. Run by very nice people.